calling all past customers………my computer died and I lost your email addresses! yes its true – I didn’t back up my mailing list, and so when the hardrive died on my ancient mac ibook last week, I lost all sorts of things – including my mailing list – which had about 350 email addresses on it! so I bit the bullet and was finally forced to retire my much beloved, 2nd hand ibook – with all of 128 bits of memory on it and 4G hard drive, that has lasted me about 8 years – it’s in bits on the shelf of the repair shop at the moment – to be used for spares! They were able to retrieve some of the data on the hard drive, so I didn’t lose everything – luckily I have still got most of my old photos, and the esoteric collection of music I downloaded years ago, when the Limewire sharing system existed, and I could get them for free – smile! But I lost all those stored emails that I didn’t bother to take off the system, or print out, so if you sent me an email at the beginning of last week, and I haven’t answered it – that’s why! 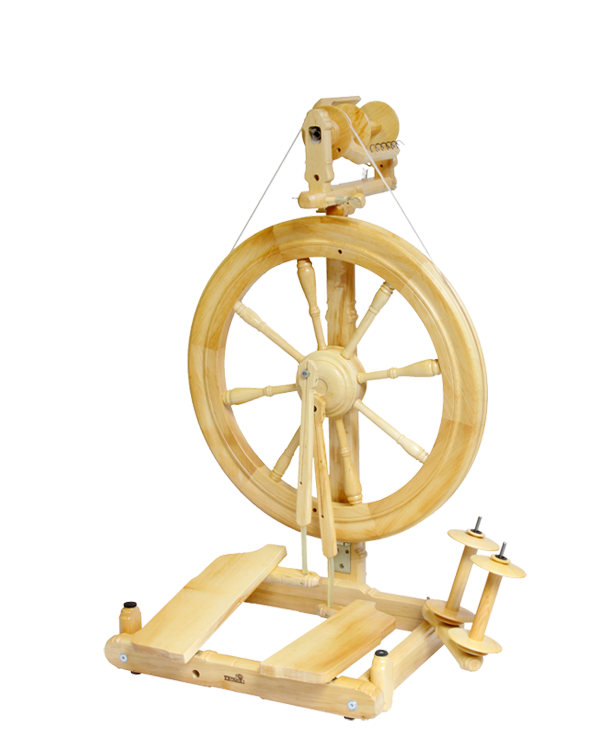 These include a few of the enquiries/orders I got for Kromski spinning & weaving equipment – see my last blog. What with the recent snow, and having to get to the library to read my emails, I have been rather “snowed under” this last week and have got behind with all those things on my ‘to do list’, and as a consequence, the order to Kromski hasn’t yet gone in – because I haven’t been able to confirm the horrendous amount of postage they want to send it all! And now I’m not sure who ordered what! 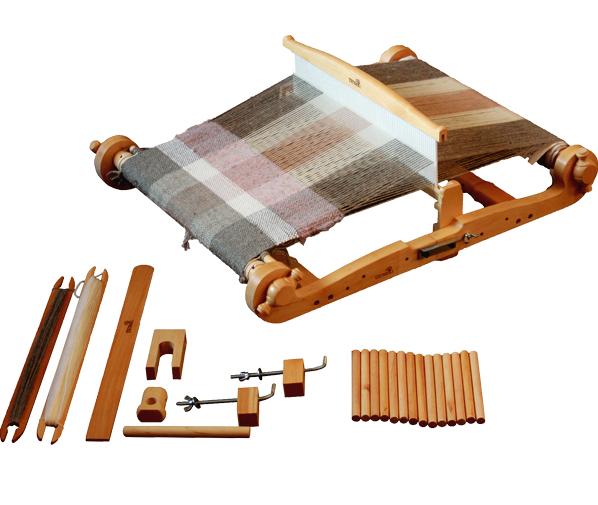 So if you do happen to click onto this blog, please get in touch with me if you have ordered anything, AND, as I haven’t yet confirmed the order, there is still time – a couple of days – to request something specifically – and I can let you know the price, and add it to the order …….! and ……i’m gonna need those orders – smile – cos I’m writing this on my new – it maxed out my credit card – macbook pro! Got in late on Saturday, and i’m still finding my way around it! Also, if you know of anyone who has bought off me in the last couple of years, could you direct them to this blog please! That also applies to anyone you might know that would be interested to get my occasional newsletters, with info about new stock, special offers for Club Members only, and “buy direct” discounts. I thought as an incentive, I would offer a prize to anyone who refers the most number of people – by the end of the month. 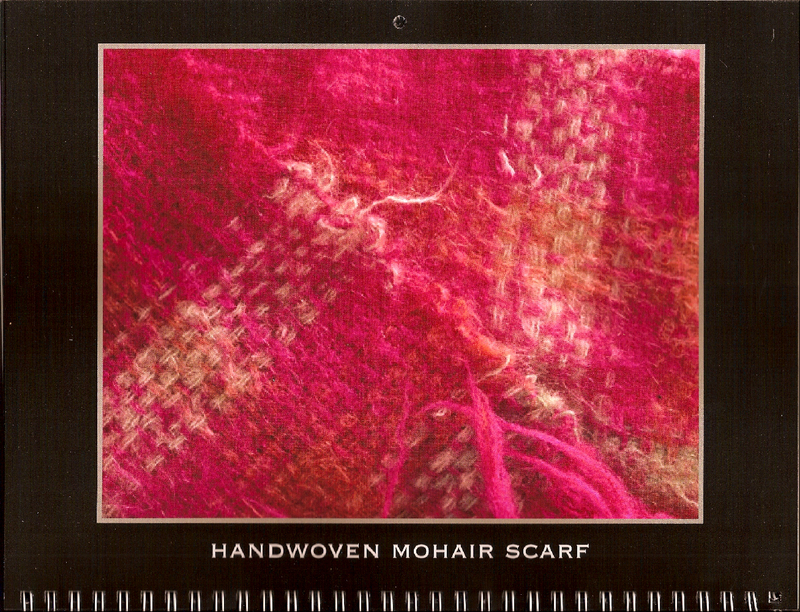 Please ask them to mention your name & email address, when they contact me, and the two people who have referred the most friends or colleagues, (even if they have already been referred by others,) will get the last of my very limited edition of 2013 CALENDARS . I only printed a few of them to see what they looked like, and because I ordered them late – just before Xmas, they arrived a week ago. 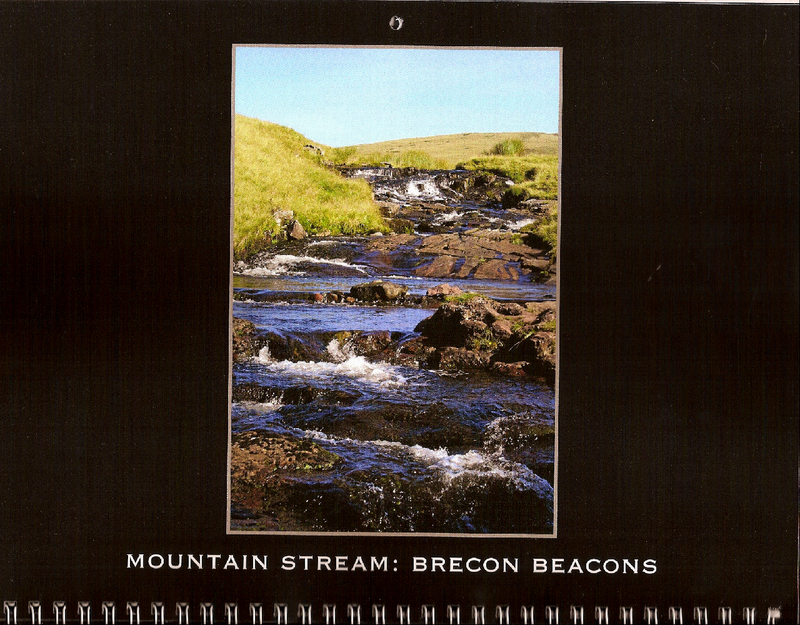 I had thought about selling them, but there are a few tweaks i’d make if I decided to re-order them, by which time the first month of 2013 would be gone, and its not a good idea to sell a calendar in February! I scanned a couple of the pages – but scanning print never gives very good results. Here are a couple of them, just for you to see what they look like. I think you might recognise the December image. You can click on the pictures to enlarge them. The mailing list is international, so obviously, postage anywhere is included, if you win one! 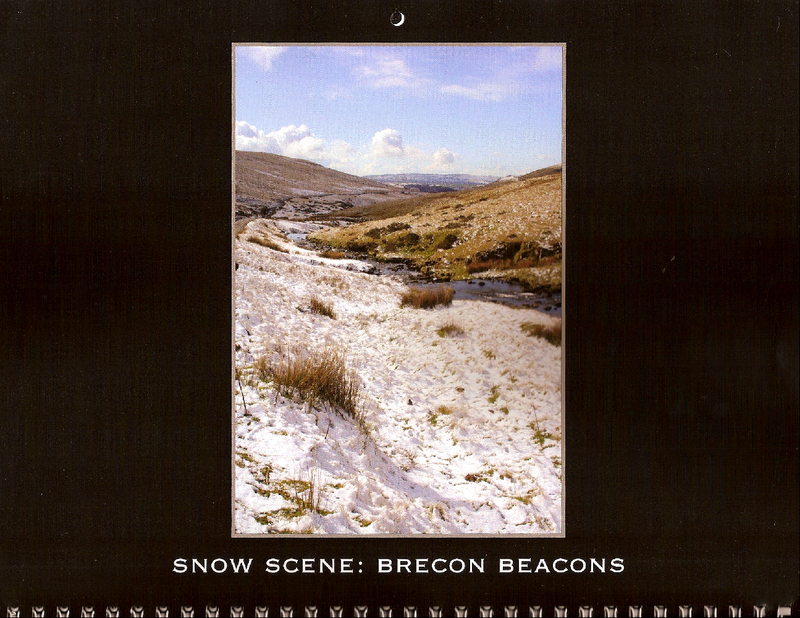 I’d also appreciate some feedback about the idea of a calendar, from anyone who reads this blog – the photographs are my own pictures – taken some time ago, and most of them are landscapes taken around the Brecon Beacons, in South Wales – not far from where I live. I took this one down the road just before xmas – if you remember it rained and rained and rained, and the hillside above my road has been an official (threat of) landslip area for many years as there are old mining tunnels running through it. There is some concern that the drainage system had not been maintained, and just as a christmas was coming up, thousands of tons of mud slid down the hill and blocked the road – and yes, those are full size trees in the middle of the road! Luckily no one was hurt, and the only building affected is the old meeting hall, next to the chapel, which you might be able to make out on the far side of the slip. 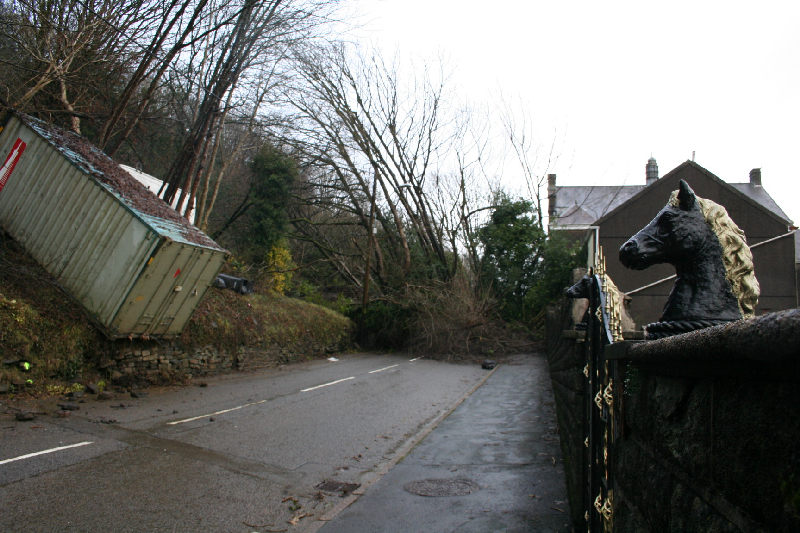 One family lost their home – as they lived above the road, and the container you can see was about 30 ft above the road! Other families had to evacuate on the night it happened, but are all insisting on staying put now! The road, of course, remains closed, which is a minor nuisance in the circumstances, and the council are waiting for all kinds of reports before they do anything – Just thought you might like to see it – I live a bit further up that road, so luckily am not affected! So, I really can’t complain about my little run of bad luck – or bad planning! wishing you all a happy new year (again) – there is new stock on both my ebay page (85solway) and my easy shop (julzcraftsupplies) – for more info and working links, please go to the ABOUT JULZ PAGE.